The conference offers attendees some options to participate in pre-conference activities: (1) medical ethics and the holocaust (2) research methods on religion, spirituality and health, and (3) a sacred sites tour. Pre-conference activities will take place on Friday, March 24, 2017, between 8:30 a.m. -12:30 p.m. Attendees will have the option to sign up during their conference registration. From 1933 to 1945, German physicians, bioscientists, and nurses – the best in the world at the time – willingly committed the most egregious violations of medical and professional ethics in the name of Holocaust medicine. Guided by eugenic theories of race, they sterilized 400,000 citizens against their will, “euthanized” 200,000 disabled German children and adults, and created the gas chambers and crematoria that were used for the mass murder of 6 million Jews, Poles, and Gypsies in the “final solution.” Without the enthusiastic support of physicians, nurses, bioscientists, and healthcare policy makers, the Holocaust might not have happened. For Holocaust survivors, their families, and the medical community, it is important to remember this time period and learn from it, so we can be better equipped to do no harm. A bus/van will leave the hotel at 8:30 a.m. for travel to Holocaust Museum Houston. There will be a tour of the museum, followed by a presentation, discussion and lunch. Participants will return to the hotel in time for the start of the conference. Led by Harold Koenig, M.D. Dr. Koenig will discuss exactly what research is, examine measures of religion/spirituality, and briefly review research designs such as observational studies and clinical trials. He will also explore funding sources for conducting research in spirituality and health, discuss the importance of study management, and provide advice on how to get results published. This workshop is designed for anyone wanting to begin research in this area, whether a novice or a seasoned researcher, or those who have begun doing research on religion, spirituality and health and would like advice. There will be plenty of time for discussion of topics based on participants’ needs. 9:00 a.m. - 12:00 p.m., at JW Marriott; room to be announced. 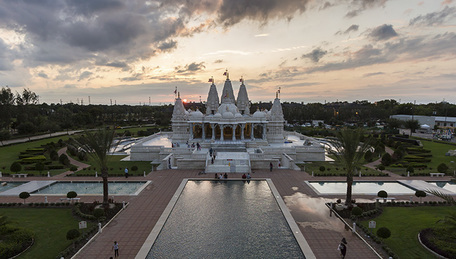 This tour will bring attendees to three distinctive, culturally significant sacred sites in the city of Houston. At each site, (St. George Antiochian Orthodox Church, Rothko Chapel and Christ Church Cathedral/Hines Center) we will be joined by a guide who will discuss the history, architecture, and vision for the space and who will field questions from participants. Additionally, each site will feature a speaker who will discuss the space's significance in terms of health and healing. A bus/van will leave the hotel at 8:30 a.m. The tour will include lunch. Participants will return to the hotel in time for the start of the conference.